Emotional health is an important part of everyone’s life, but it can be especially important for LGBT people when: dealing with gender identity issues, coming out, meeting other LGBT people, starting a family or starting new relationships. LGBT people can often find it difficult to seek support, but it’s important that you feel able to ask for the support that you need. 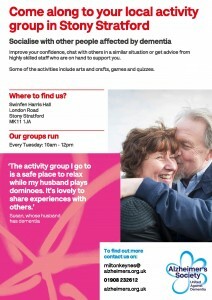 Activity group in Stony Stratford for those affected by dementia. Please see the poster below for more information. 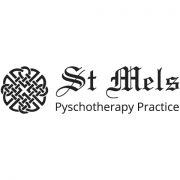 A psychotherapy practice that offers a LGBT service. “The Dragons Eye”: A Group for Survivors their friends and family. Local charity based in High Wycombe which aims to raise awareness of mental health and support people affected by mental health. Offers a LGBT Peer Advocacy Group and one to one advocacy. The new Buckinghamshire Public Health website has information on healthy eating, getting active, understanding your drinking, NHS health checks, stop smoking and mental health and wellbeing. Do you want to complain about your NHS care or treatment? Independent Health Complaints Advocacy is a free, independent advocacy service that can help you make a complaint about any aspect of your NHS care or treatment. This includes treatment in a private hospital or care home that is funded by the NHS. Care Advice Buckinghamshire is a website for adults in need of care and support in Buckinghamshire, their families and carers. You can find information and advice, ways to assess your own needs, community support and services. Providing a range of person-centred services across Buckinghamshire to improve wellbeing of anyone experiencing emotional distress. For gay, lesbian, bisexual and transgender Anglicans. Web portal for gay Asian men resident in the UK and their friends. Works for the full inclusion of gay, lesbian and bisexual people in the Christian churches.